No detecting necessary. Just the usual stop at the market to get something for lunch. Laying in the parking lot waiting for pick up. I guess it was lost the last weeks and hidden in the now thawed snow. A couple times overrun by cars and pretty beaten up. CRUSADER, Kona Koma, Johncoho and 24 others like this. Nice find! Don't discard it, keep it...to please the "detecting Gods"! OreElse, rook3434, A2coins and 1 others like this. Always nice to find gold ! Great eyeball find. Just right for an addition to the test garden. Bury it a dozen times at different depths and angles to see how it reads. 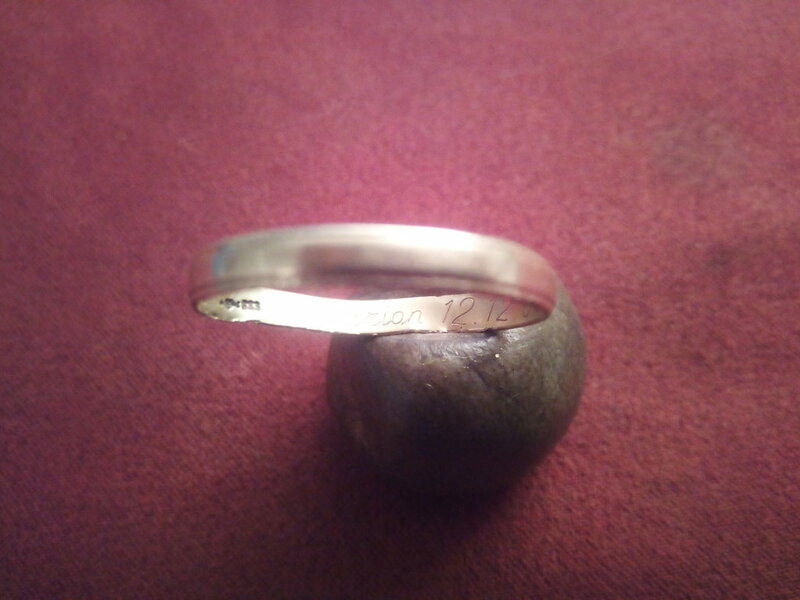 A basic wedding band that probably came off with the glove its going to be difficult to find the true owner. Hope you can find the owner, but if not it would make a great test piece. Nice find Lu. Hopefully, with that inscription and date you can find the loser. And don't just dump it in a field, it'll just go to some Night Hawk. 12/12 is my birthday... Awesome eyeball find..
I’m always looking down as well. It’s amazing what people drop. Good luck with the recovery. You have good intell. Silver and Gold! MIT 1932 Class Ring, Walking 1/2 and cool button! 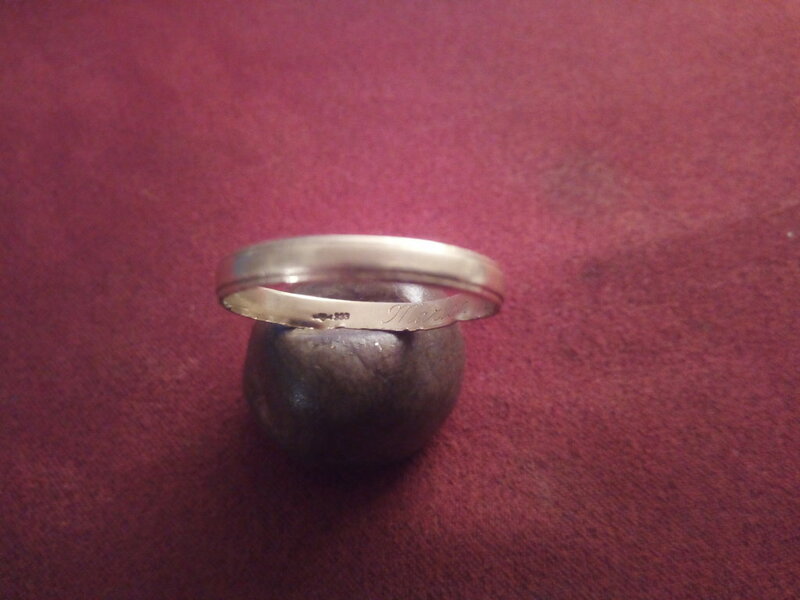 Ring Couple of night hunts, Gold Ring #15 Found and Returned! After being lost for 63 years it's back with it's owner! 1951 Class Ring Returned. Congrats on your first gold of 2019! Hope there is more to come! Happy New Year to one and all. May there be GOLD in your new year! By Skippy SH13 in forum Today's Finds! By ScubaDetector in forum Today's Finds! Gold,Gold,Silver: 1 Year Gold Drought Comes To A End Today.